D_Segni Colore comes in three new dusty solid colours. D_Segni Scaglie, inspired by Venetian Terrazzo, offers 6 shades: White, Black, Anthracite, Grey, Blue and Yellow. Colour returns to centre stage with Eclettica, a collection of ceramic wall tiles in the large 40x120. ifferent sized chips or fragments of marble create slight variations in colour on the concrete base, with a very natural effect. In the new 90x180 cm size, Mystone Basalto is the new Marazzi collection inspired by basalt the volcanic stone. A soft, trowelled surface and neutral but highly contemporary shades for the new Apparel stoneware collection by Marazzi. SistemS is the new technical stoneware inspired by a concrete with a contemporary look and a soft surface, with a slightly mottled effect. SistemU is a new, minimalist wood look stoneware with a natural flavour, inspired by varnished wood. 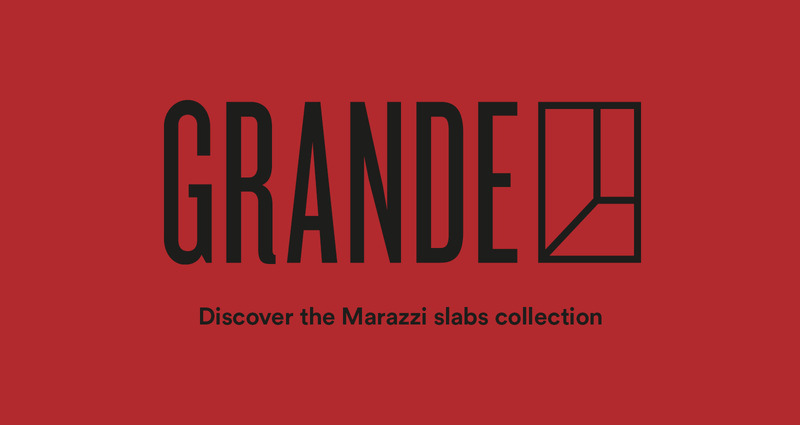 The best solutions from Marazzi for creative flooring for your living-room. Looking for an alternative to parquet? Explore an inimitable solution: Treverk and the other Marazzi wood tile porcelain stoneware collections. The project by Antonio Citterio and Patricia Viel transforms the Via Borgogna showroom into a “Wunderkammer” of colours and materials. The new location, of over 400 square metres, is in one of the French city’s most fashionable areas, a focal point for its design and furnishing world. Marazzi Extra Thick: high performance porcelain stoneware, 20mm thick, inspired by Stone, Marble, Concrete and Wood, for designing any outdoor space with exactly the right look.